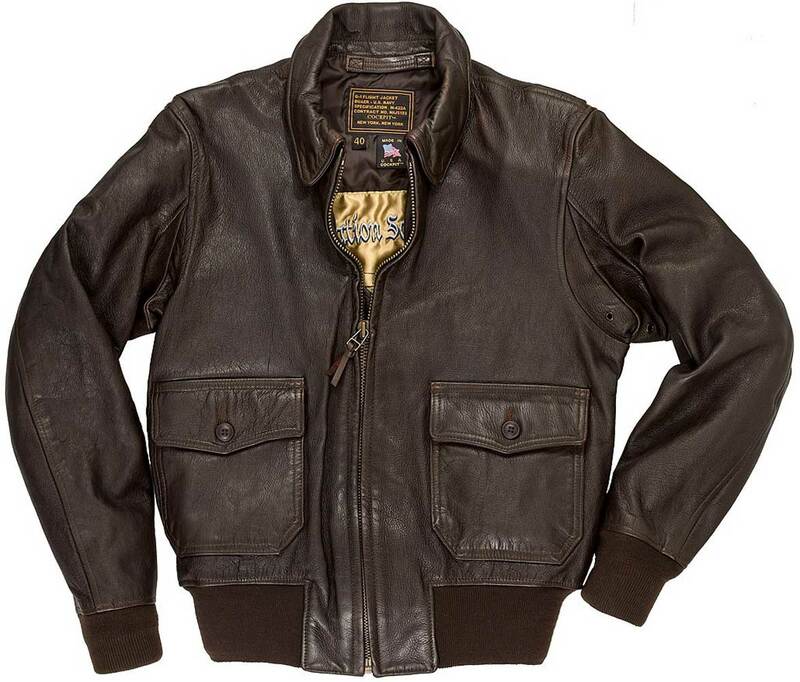 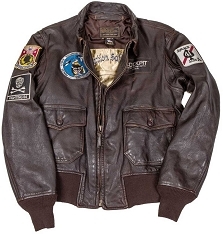 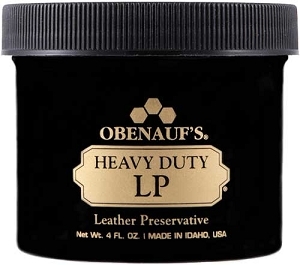 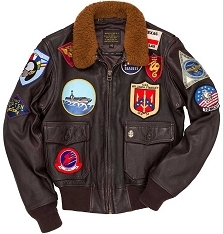 Cockpit presents this G-1 hand treated vintage Naval Aviator's flight jacket which was originally stylized by a USS Forrestal Navy fighter pilot. 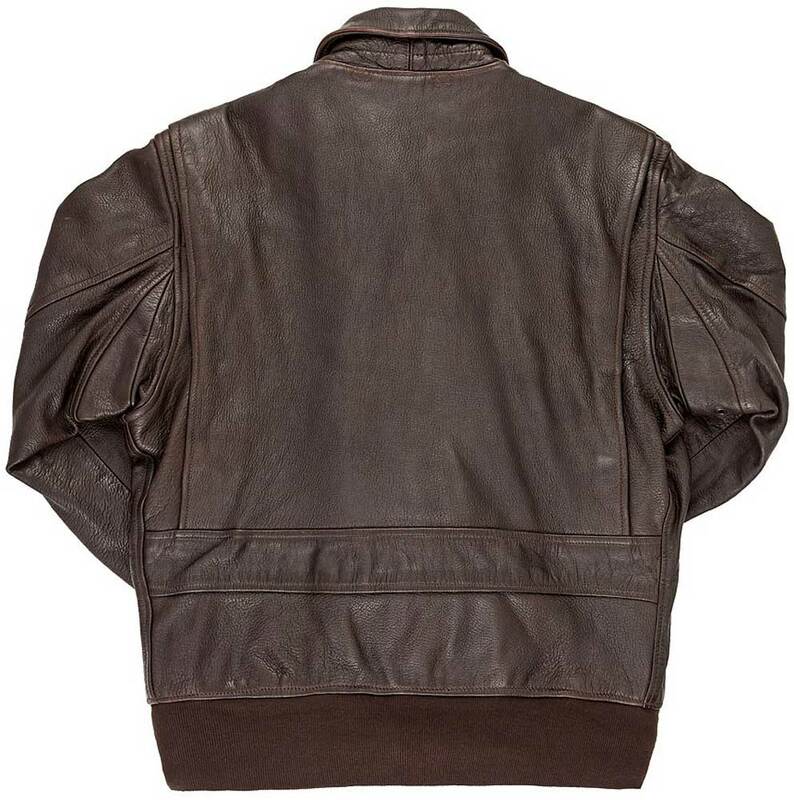 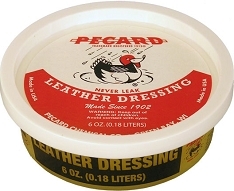 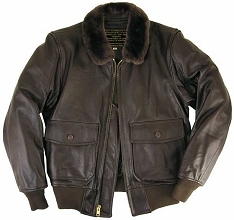 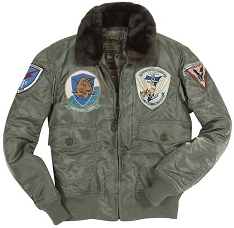 The original jacket Cockpit found had the original fur collar removed and a leather collar mounted on the jacket probably because the original pilot spent most of his time in warm weather and did not need the mouton fur collar normally specified for this jacket. 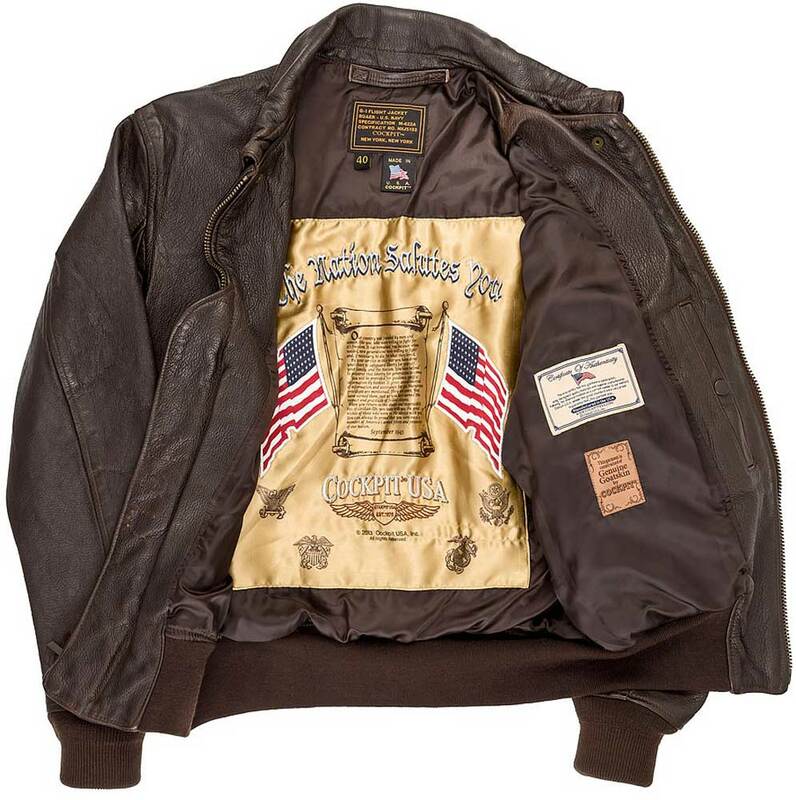 Squadrons that were on the Forrestal were redeployed to the Constellation including VA-65.